This document starts with a quick introduction, then covers most commonly-used opam features. If you are a developer and want to get a project packaged or change an existing package, see the step-by-step packaging guide. This document is intended as a quicker overview, use the above to dig into the details. You may prefer to browse packages online. If you find a package there but not on your computer, either it has been recently added and you should simply run opam update, or it's not available on your system or OCaml version — opam install PACKAGE will give you the reason. opam needs to initialize its internal state in a ~/.opam directory to work. This command will also automatically pick a compiler to install, unless --bare has been specified. To make your shell aware of what has been installed in opam, some variables need to be set in your environment. You will be prompted to update your configuration, and given instructions on how to proceed manually if you decline. This command synchronizes opam's database with the package repositories. The lists of available packages and their details are stored into ~/.opam/repo/<name>. Remember to run this regularly if you want to keep up-to-date, or if you are having trouble with a package. It will also update any packages that are bound to version-controlled sources. opam list List installed packages, or packages matching various selection criteria. opam search Search in package descriptions. opam show Print details on a given package. Will attempt to upgrade the installed packages to their newest versions. You should run it after opam update, and may use opam pin to prevent specific packages from being upgraded. This command enables the user to have several installations on disk, each with their own prefix, set of installed packages, compiler version, etc. 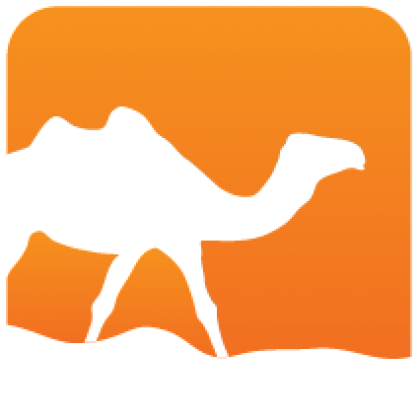 Use cases include having to work or test with different OCaml versions, keeping separate development environments for specific projects, etc. Use opam switch create [name] <package-or-version> to switch to a different compiler. Don't forget to run the advertised eval $(opam env) to update your PATH accordingly. Replace [name] with a directory name to have the switch created in that directory, and automatically selected when opam is run from there: this is typically done within projects that require a specific compiler or set of opam packages. 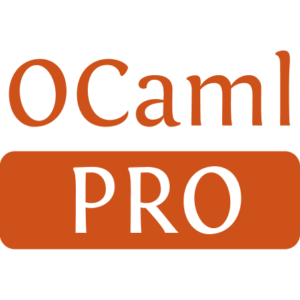 Creating a new switch requires re-compiling OCaml, unless you use the ocaml-system package, that relies on the global OCaml installation. This command allows to pin a package to a specific version, but has been extended to allow much more than that. Where <target> may be a version, but also a local path, the URL of an archive, or even a git, mercurial or darcs URL. The package will be kept up-to-date with its origin on opam update and when explicitly mentioned in a command, so that you can simply run opam upgrade <package name> to re-compile it from its upstream. If the upstream includes opam metadata, that will be used as well. This actually a powerful mechanism to divert any package definition, and can even be used to locally create packages that don't have entries in the repositories. opam is configured by default to use the community's software repository at opam.ocaml.org, but third-party repositories can easily be used in addition, or in replacement. defines the alias <name> to refer to the package repository found at <address>. Without further options, that repository will be set to lookup for package definitions over what was already defined in the current switch only. See options --all and --set-default to affect other and newly created switches, respectively. Defining your own repository, either locally or online, is quite easy: you can start off by cloning the official repository if you intend it as a replacement, or just create a new directory with a packages sub-directory, and a repo file containing at least an opam-version field. See the packaging guide if you need help on the package format. If your repository is going to be served over HTTP, you should generate an index using the opam admin index command. Generated from Usage.mdusing opam2web, courtesy of OCamlPro. Commercial support.